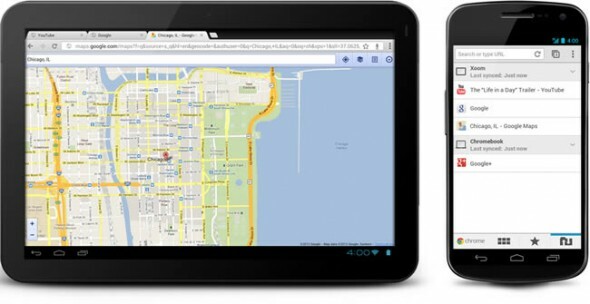 Google has just announced a mobile version of its Chrome browser. You will need a device running Android 4.0 Ice Cream Sandwich to get the beta app. It does not replace the default Android browser but rather co-lives with it. We will be posting more info as we test the new browser.